The Best Budget-Friendly Cruise In Turkey! 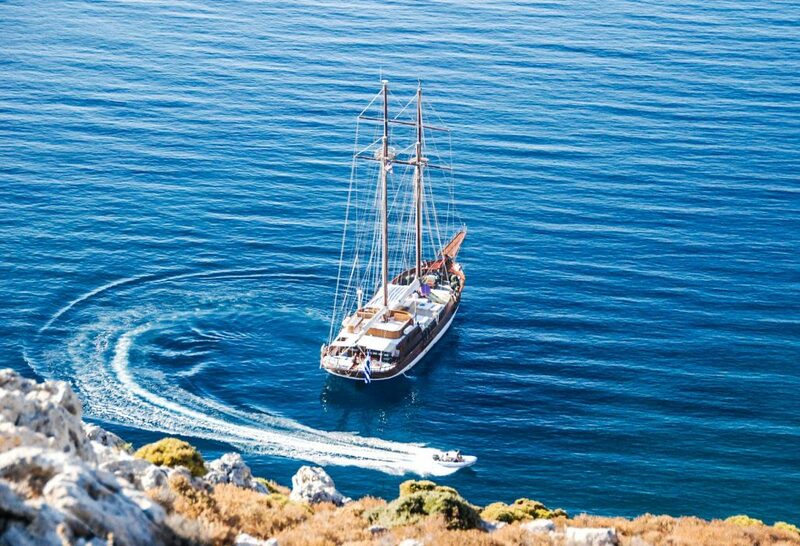 You always wanted to go on gulet cruise but it seemed too expensive and kinda unreachable dream? Well here is the good news! We have a more budget-friendly option for you, and that is the best budget-friendly cruise in Turkey! 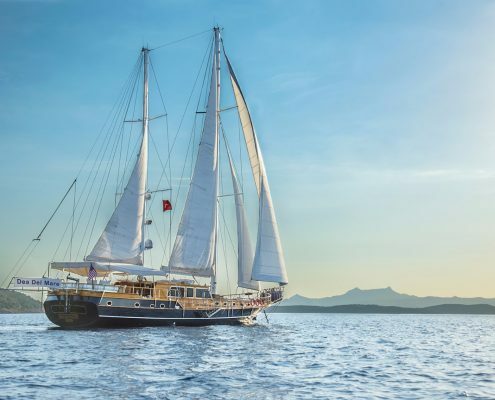 This cruise provides you with the best value for your money and here we will present an amazing route with gulet blue cruise that starts and ends in BodThe rum. Also you will see a few of gulets recommendations that could be your dream budget friendly gulet! The coastline is nearly 1600 kilometres long! There are many places to explore! Turkish cuisine is something you don’t want to miss! An appetizing mix of Ottoman cuisine, with borrowed elements from Greek, Central Asian, Caucasian, Sephardi Jewish cuisine, Middle Eastern, and Balkan cuisines! 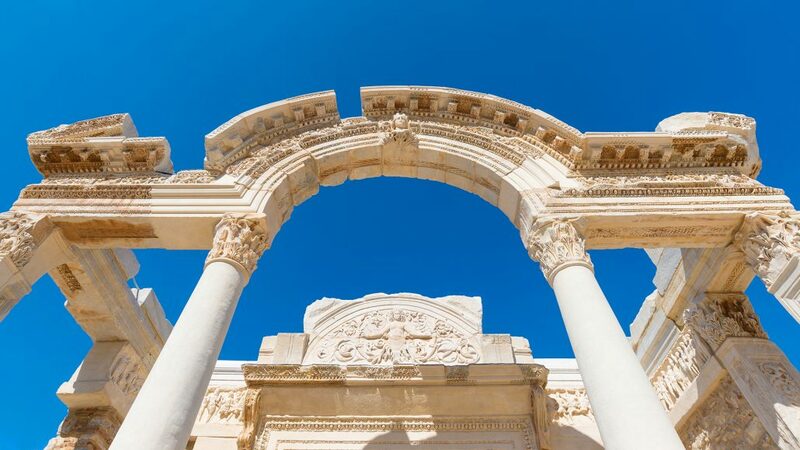 Here you will be presented with an example of an itinerary for an unforgettable Turkey cruise. This is an adventure you will hardly find anywhere else, with the best value for the money. Please just do remember that everything can be personalized by your wishes. Your journey will begin at Bodrum which truly is the ideal starting point for sailing the Aegean coast. It is located at a point that checks the entry into the Gulf of Gökova. Gökova Gulf is acknowledged to be one of the best cruising areas in Europe! You will instantly fall in love with the beauty of this town, crystal clear waters and friendly hospitable people! Overlooking the harbour like a guardian lays the Bodrum Castle from the 15th century. Castle now includes a Museum of Underwater Archaeology and hosts several cultural festivals throughout the year. While boarding you will be welcomed by the crew on board and Captain that will help you settle in. On this cruise, you’ll get to see places raging from ancient cities, unspoiled areas, coastal settlements and villages. As the sun is rising higher and higher you will be served with a scrumptious breakfast! While you are enjoying and regaining energy we will head to beach Palamutbuku located at the end of the peninsula! 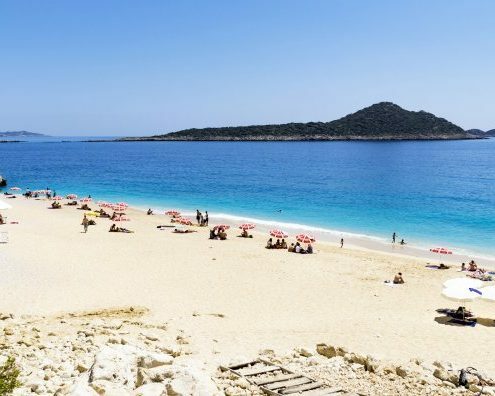 This place has reputation for having the best beaches in the Datca peninsula! The beaches are usually small, delicate, framed by mountains and spotted with green gardens. These beaches are known for the amount of privacy they give to their guest but also for their tranquillity. Here you can relax enjoy in fresh sea air! Partake in some water sports activities, swim around and soak up the sun to feel rejuvenated. Palamutbuku is also known for its remains of the historic site of Knidos. Knidos is located about 12 kilometres away and surrounded by the waters so crystal clear, so much so you will see the very bottom of the sea! Go and explore historic sights, enjoy on the beach, explore the nature, the choice is yours! There is so much to do in Palamutbuku! Locals, there are so friendly, so if you decide to visit some of the restaurants expect a warm welcoming. We mentioned the beautifully preserved nature that Turkey has, well get prepared to see Aktur! In the morning crew will first serve you a breakfast full of fresh fruits, toast, coffee, tea and all you can need. Then we will head to gorgeous bay spotted with pine trees. 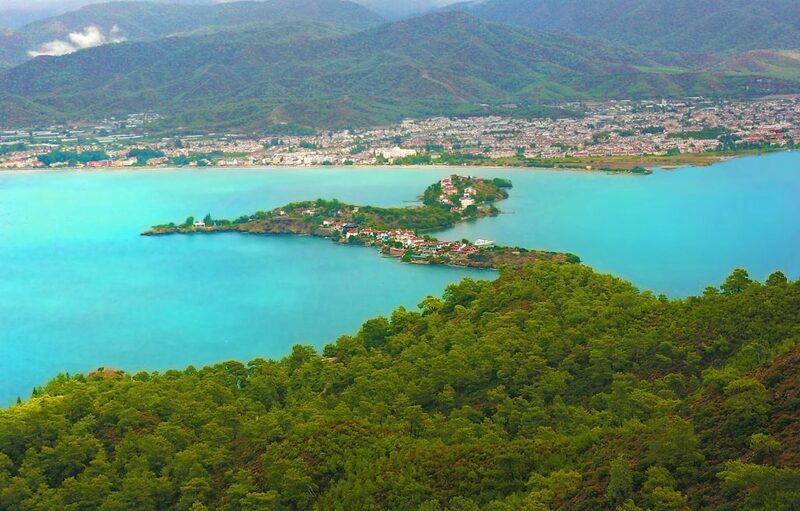 Aktur won the title of the most beautiful bay in Turkey and it definitely is a paradise on earth! Proved as hot tourist destination Aktur consists of two units, Datca and Kurucabuk with a distance of 4 km from each other. 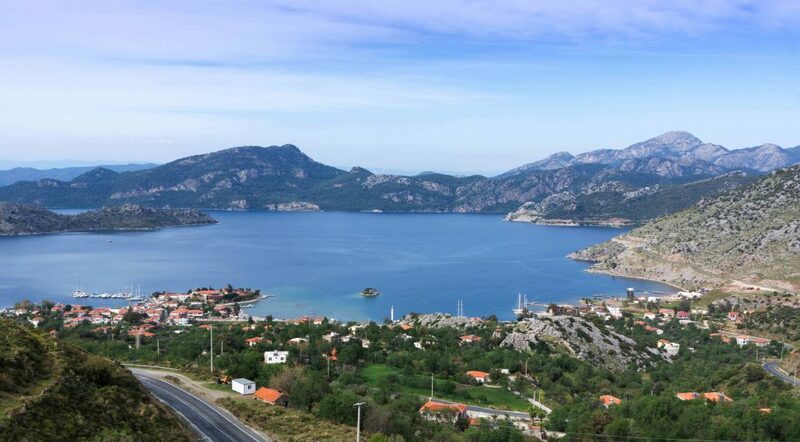 Further on there is a Hisaronu bay, that separates the Gulf of Gokova from the Gulf of Hisaronu. In history, it served as a good point of defence. We will make swim stops so you will able to freshen up in the beautiful clear sea. Later we will arrive at Bencik that offers a quiet and protected place where we will anchor among forest for the rest of the night. It is also possible to walk on shore but there are no facilities. Bencik Bay has a narrow entrance but a unique view once you get inside. INTERESTED IN SOME DIFFERENT TURKEY CRUISE ROUTE? Breakfast will provide you with everything you need for starting a nice day, we will head to Emel Sayin bay. 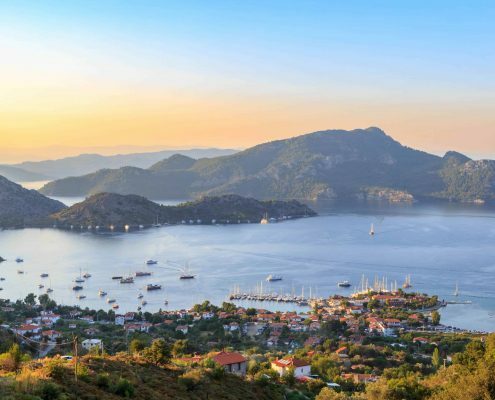 Bay named after the queen and Turkish classical music performer, this place is a great holiday destination. The first thing you will notice is the captivating smell of the pine trees that calms you down better than any essential oil. Besides that, you will be speechless once you see all the stunning views and bays. Featuring its turquoise blue sea and the legendary Kizkumu beach where you can relax and have fun. 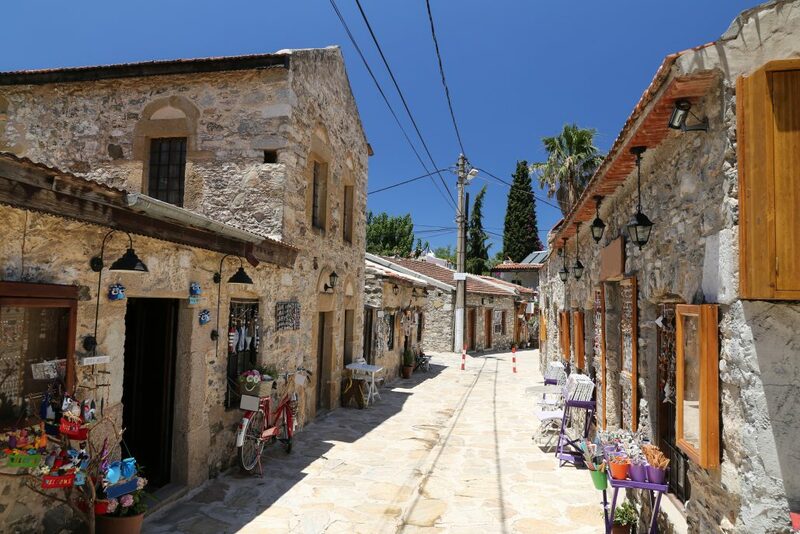 After a delicious lunch with your group, take a journey down village roads to discover the historic castle of Orhaniye. The village although small, it has lots to offer. Discover the local culture and beyond amazing cuisine that will amaze everyone. If you please you may also stay indoors on deck and relax. 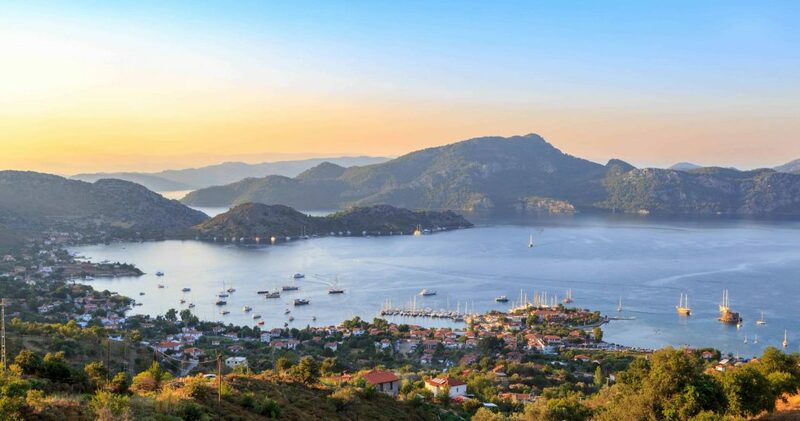 In the late afternoon, you can explore the eco-friendly Selimiye village in the Mugla district of Marmaris is one extra gem. Here you will experience one of the most beautiful sunsets, accompanied by the mountains surrounding the village. The ancient site has ruins dating back to the archaic period that under the sunset hours get washed by hues of red. 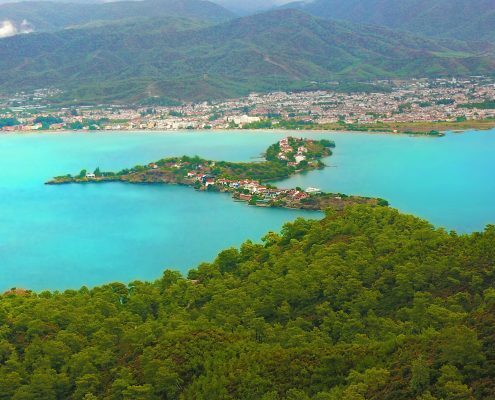 You can also go on a hike since one of the highest hills of the region is in Selimiye. There is also a castle on hills and a tomb in the southern part of the square is located 100 meters offshore. 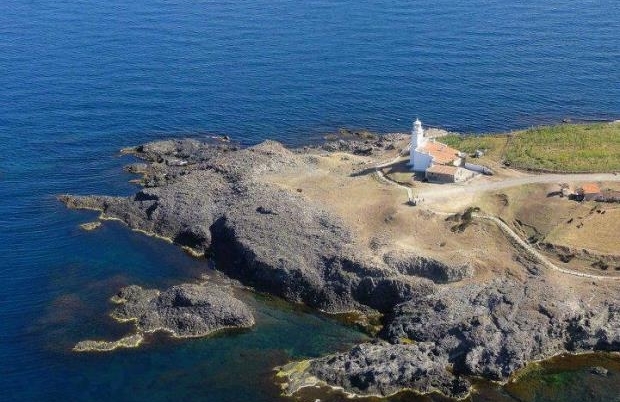 Other interesting activities and places to see are monitoring tower, a lighthouse, a monastery and a small theatre. 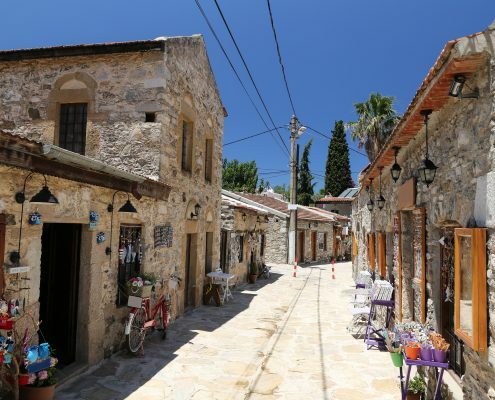 Selimiye – Hisaronu – Orhaniye is like a unique trio that you simply can’t miss. Dirsekbuku is a nice stop to that many that travel by sea use for rest, here you will enjoy your breakfast in a sheltered bay. 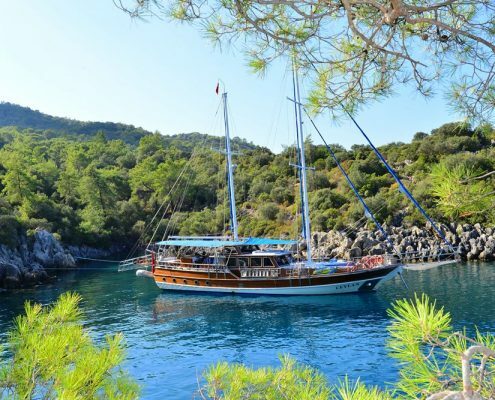 In addition, Dirsekbuku offers a great cruising experience, especially if you are sailing around Hisaronu in the morning. So prepare your camera since there will be many amazing views to capture but also an opportunity for swim stops. After a refreshing swim, we will go to Bozburun a small seaside fishing town that use to be popular for sponge business but nowadays it’s more known for gulet yacht constructing industry. So the main source of income for many is gulet tourism. Dinner severed by your Chef and overnight stay at this place that is like the most peaceful places ever. On the morning of the 6th day, we arrive at Datca. This peninsula is located between the Aegean Sea and the Mediterranean Sea. 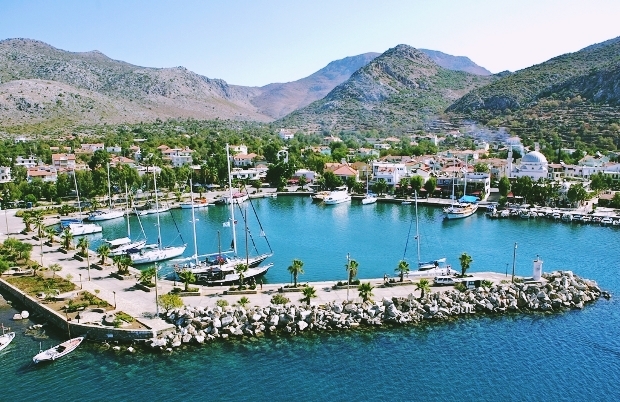 You may take a walk in Datca Harbor after breakfast and explore around. At the end of the peninsula, the ancient city of Knidos is located. All history and archaeology lovers should visit and explore this place. Knidos the city with huge acropolis has splendid ruins and a quite unique beauty. There is also an ancient theatre, located right next to the harbour of the city. 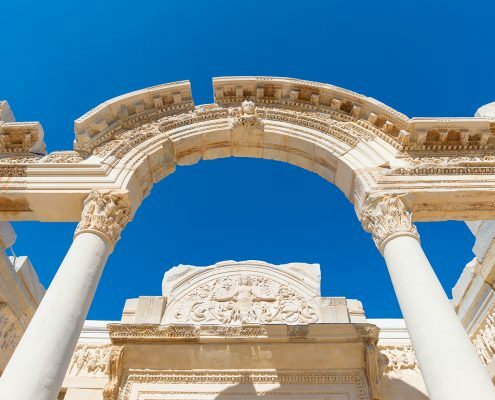 The sacred temple of the goddess Aphrodite is also a sight you shouldn’t miss! Your journey will take you to the next amazing stunning location called Black Island (Karaada) that is located around 5 km away from Bodrum. This place is known for healing powers of its sulphurous waters and mud baths. Here you can completely rejuvenate because it is believed that the hot water and mud from the cave restores beauty and health. After relaxing morning we will head back to lunch on a gulet, their food will be served. After the appetizing meal, we will explore Meteor Hole, a place on the Black Island. The name comes from a legend believe that told that long time before a meteor fell down here. The sea there is a perfect temperate and it is a delightful turquoise colour that just calls you to jump in. After swim stop at Meteor Bay, we’ll head to Poyraz Bay. This is an ideal place for diving, no matter if you are experienced or amateur. When you dive down you will be amazed by rock formations that start to appear at depth of 5m and descend down in the deeps of the sea. Besides that, you might encounter moray eels, starfish, octopus and various other small fish that might come and greet you in the Aegean sea. After productive day dinner on deck will wait for you. While you dine we will arrive and dock back to the Bodrum Harbour for an overnight stay. Since this is your last night on gulet you may if you please explore the nightlife of Bodrum or you can stay on deck and relax. The decision is yours! 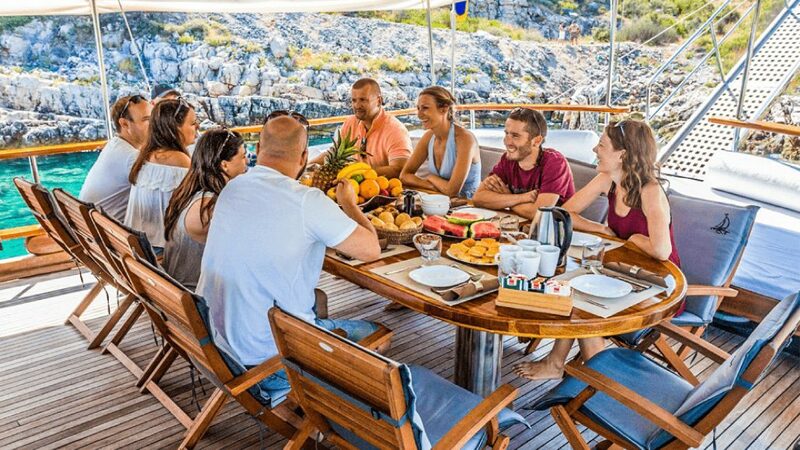 In the morning hours, you and your group will enjoy last breakfast on the deck. Later on, you will have a chance to say goodbye to your crew, potentially new friends and bring back home to your amazing experience. List of affordable gulets that could be perfect for you! Launched in 2010 and refurbished in 2015, now classed in the luxury category. With a length of 20 meters with 4 comfortable cabins, she provides the blue cruise services with the experienced crew. Spacious deck design, friendly crew and best services is a recipe for success! 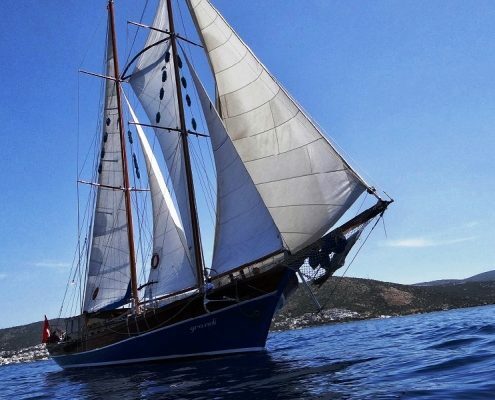 A great gulet for small groups, single families or couples only charters. In great condition, clean, comfortable and just the right size if you aren’t seeking a large gulet. Her deck is spacious giving plenty of comforts to enjoy a holiday in Turkey. 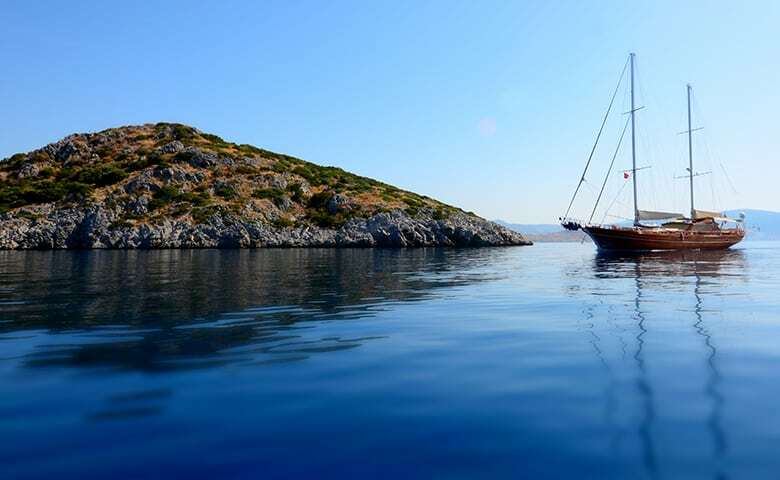 Gulet has been refurbished in 2013 and classified as the luxury category. 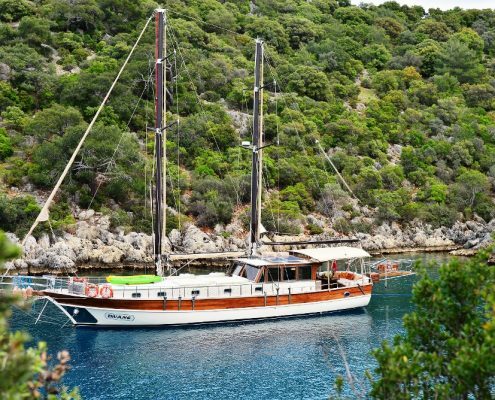 21 meters gulet offers the blue cruise service with an experienced and friendly crew. 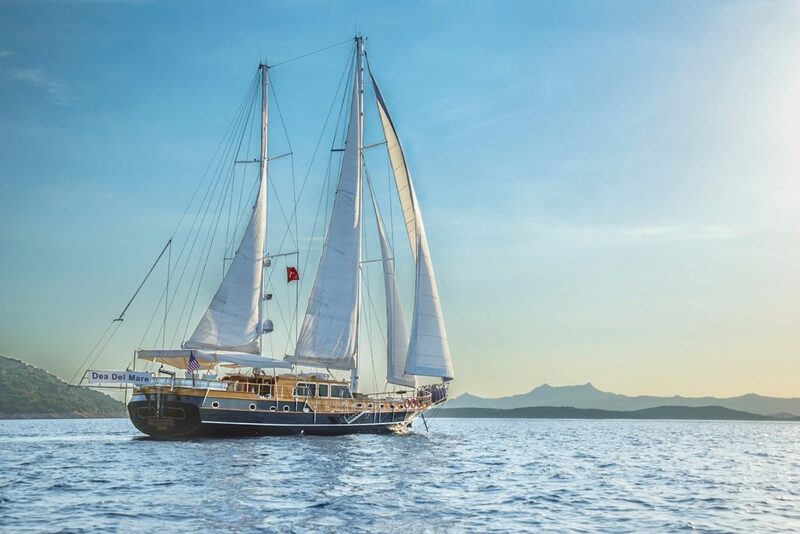 The elegant and fully air-conditioned interior is just one of the many things that make this gulet super comfortable for cruising. 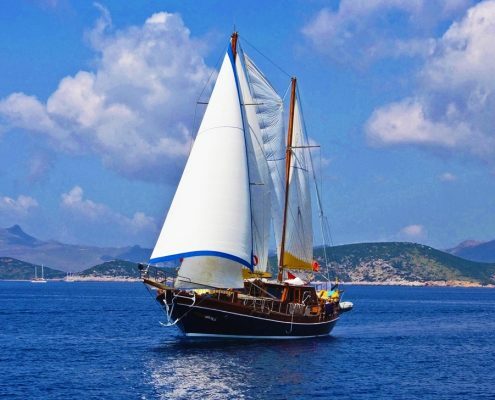 Spacious gulet built in 1993 and won several times the Bodrum Cup sailing regatta. She was refurbished in the year 2013 and is classed in the standards and economic category. She provides you with a crew of 3 to accompanies you through the whole cruise. Find more about Turkish gulets, types and prices!